The Supreme Court issued 11-point guideline dictating the human rights watchdog’s roles and responsibilities will force it to “work like a ministry or an extension of the government instead of an independent body,” a commission member who wished to remain anonymous has said. 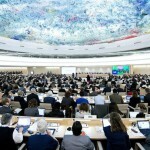 The apex court yesterday declared a rights assessment submitted by the Human Rights Commission of the Maldives (HRCM) as unlawful and barred the office from communicating with foreign organizations without government oversight. The 11-point guideline also orders the HRCM to protect unity, peace and order, and uphold Maldivian norms, faith, etiquette and the rule of law. 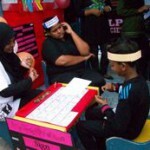 The main opposition Maldivian Democratic Party (MDP), civil society organizations and lawyers have also said the guideline undermines the commission’s independence, and have said the Supreme Court has infringed on the parliament’s mandate by “writing laws” for the HRCM. 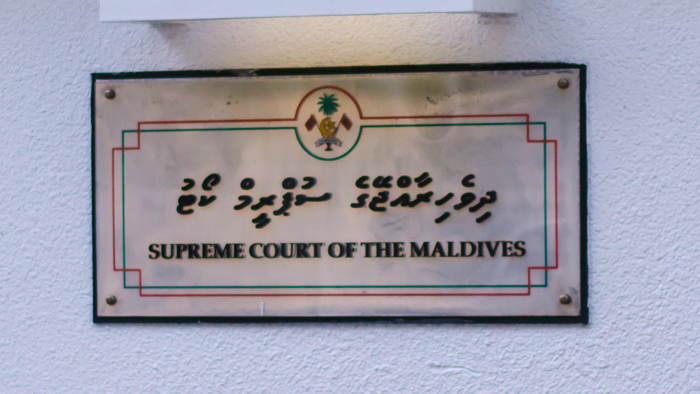 The MDP noted the ruling was issued under controversial suo-moto regulations that allow the Supreme Court to prosecute and pass judgment. “While the guardian of independent institutions is the parliament, the Supreme Court created a guideline and gave the verdict on charges the court itself brought against the HRCM, we note with concern that this verdict allows an independent institution created by the constitution to lose its independence,” the MDP said in a statement today. 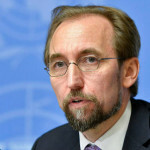 Charges of treason were first pressed in September 2014 after the HRCM publicized a report it had submitted to the UN human rights council for the Maldives’ Universal Periodic Review. Chief Justice Abdulla Saeed said the report was biased, encouraged terrorists and undermined judicial independence in the Maldives. Only the parliament can formulate guidelines for the state’s offices, he said. The guideline will bar the HRCM from investigating human rights violations without state approval as it requires the commission to cooperate with government offices and orders the HRCM not to overstep its mandate or “disrupt” the work of government offices. Mohamed Thoriq Hamid, the program manager of advocacy NGO Transparency Maldives, said the verdict is part of “a continuing trend” in which the Supreme Court is undermining the work of the state’s independent institutions. In March last year, the apex court sacked the Election Commission’s president and vice-president when they criticised a 16-point electoral guideline issued by the Supreme Court after annulling the first round of presidential elections in September 2013. In 2012, the Supreme Court ruled that the Anti-Corruption Commission was not authorized to suspend contracts even if they suspected corruption. The ACC president Hassan Luthfee at the time said the ruling rendered the ACC powerless to stop corruption even if it was carried out on a large scale. Shahindha Ismail. the executive director of Maldivian Democracy Network, said the Supreme Court is “imposing more serious problems” on HRCM rather than “allying with the commission to overcome existing challenges”. “This verdict just destroys all the work done for the promotion of democratic principles and the protection of Human Rights all over the world,” she added. “What we see in other democratic countries is judicial activism, but this case shows that what is going on here is judicial extremism,” he said. The guideline has sparked outrage on Twitter. #Maldives Supreme Court’s guideline for HRCM supersedes the HRCM’s founding law. Supreme Court consolidating its role as legislature? SC decides what Elections Commission need to do what HRCM need to do. Are these commissions independent? Welcome to a new Supreme Court guideline! This time to the HRCM. Essentially, saying there is injustice in the #Maldives is a crime. Now Supreme Court has appointed itself the PR agency for #Maldives – #HRCM warned not to embarrass country; hide the facts & build an image? 1) HRCM will adapt, learning to go underground and carrying out its mandate without court meddling, keep the enemy in the dark and work to uphold human rights in Maldives. 2) HRCM will become a government propaganda office, whitewashing the state-sponsored human rights violations and keeping international scrutiny away, making itself a 'priority target' for those fighting for independence from PPM colonialism.